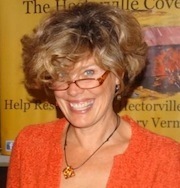 Irish-born Vermont writer of poetry and prose, Angela Patten. Her new book is High Tea at a Low Table, published by Wind Ridge Books of Vermont. This week’s Write The Book Prompt was generously shared by my guest, Angela Patten. Write a non-fiction essay or short story that begins, "The moment seemed to go on forever..."